from a whisper to a roar: Hello you. 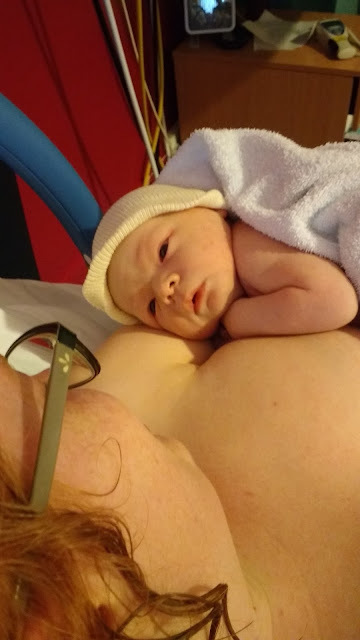 A couple of weeks ago, after a stop start labour that started on a Thursday evening and ended, finally, the following Monday afternoon, our beautiful son arrived. Now after a manic couple of weeks that passed by in a blur of cards and presents and flowers and Christmas and visitors and appointments, he is laying on me, feeding, occasionally opening his eyes to peep at me whilst I type one handed. Parenthood is different second time round. On the one hand it's relentless and tiring and daytime naps are no longer a thing. On the other hand we are more relaxed and more confident in our decisions and the way we are dealing with everything. I am going with the flow and riding on the feeling of euphoria that is still hanging around after his birth, because I know this time that it goes by impossibly quickly, and that as eternal and difficult as the sleepless nights feel at the time, they won't last long, either. I am happily soaking in him - his little tiny elbows (who knew elbows could be cute? ), his noises, his smell. I am storing away precious first memories of my daughter becoming a sibling. I'm not thinking about things very much. Just going with whatever happens. I took a long time to get over the birth of Jellybean, physically. I'm feeling much better this time round. 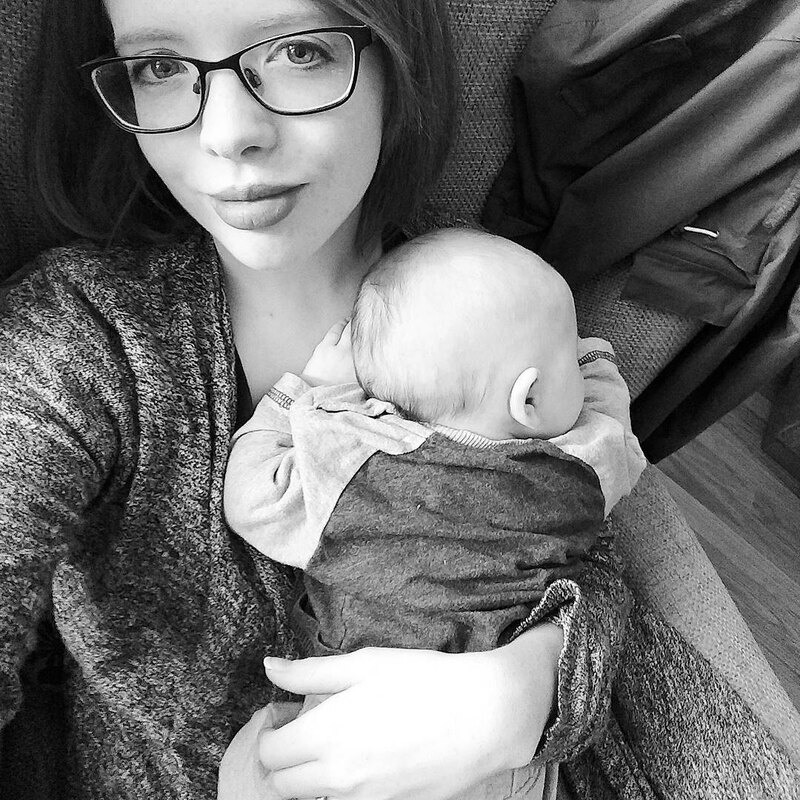 I think it's half because I've done it before, and half because the midwives were so brilliant, and empowered me to have a very calm, in-control kind of labour, the kind of labour that I'd hoped for but kind of didn't dare to hope for at the same time. It meant that I felt powerful instead of helpless and calm instead of afraid. I keep re-remembering it, trying to cement the weird awesomeness of it into my brain. When he arrived I felt nothing but pride and wonder and awe. (And, you know, like I'd fallen down a flight of stairs and bruised every bone in my body on the way down, but still). When he arrived I just looked at him - over a pound bigger than Jellybean was, and weirdly clean thanks to his dip in the pool - and enjoyed the weight of him on me. I said 'I love you' over and over again. It was him the whole time - him in the beginning making me throw up, him in the middle fluttering in my belly, him at the end hiccuping while Chris and I paced the silent hospital corridors in the night, trying to make labour start again during one of the longest nights of our lives. He is one hundred million percent worth it. Now I'm going to try not to nod off whilst eating stew one handed. I love him already and can't wait for more cuddles. Well done you for making it through and being so awesome!! They are two lucky kiddies!! !